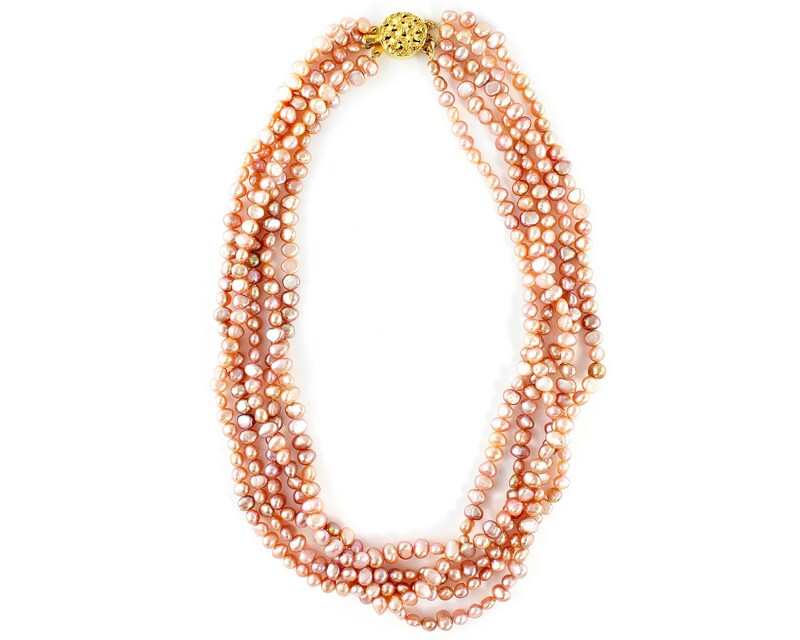 Vintage Five Strand Blush Pink Cultured Freshwater Pearl Necklace. 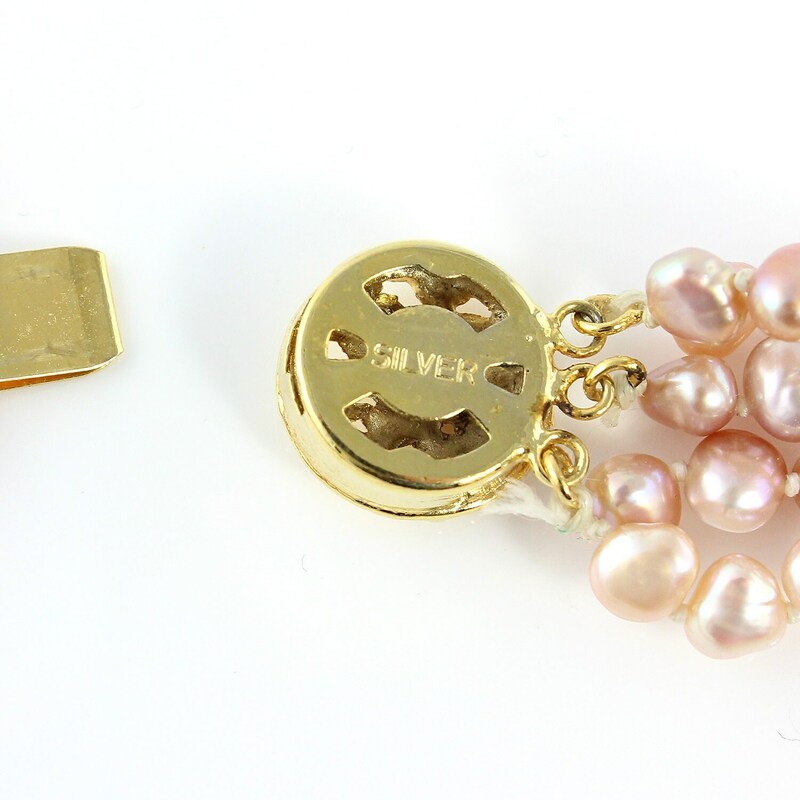 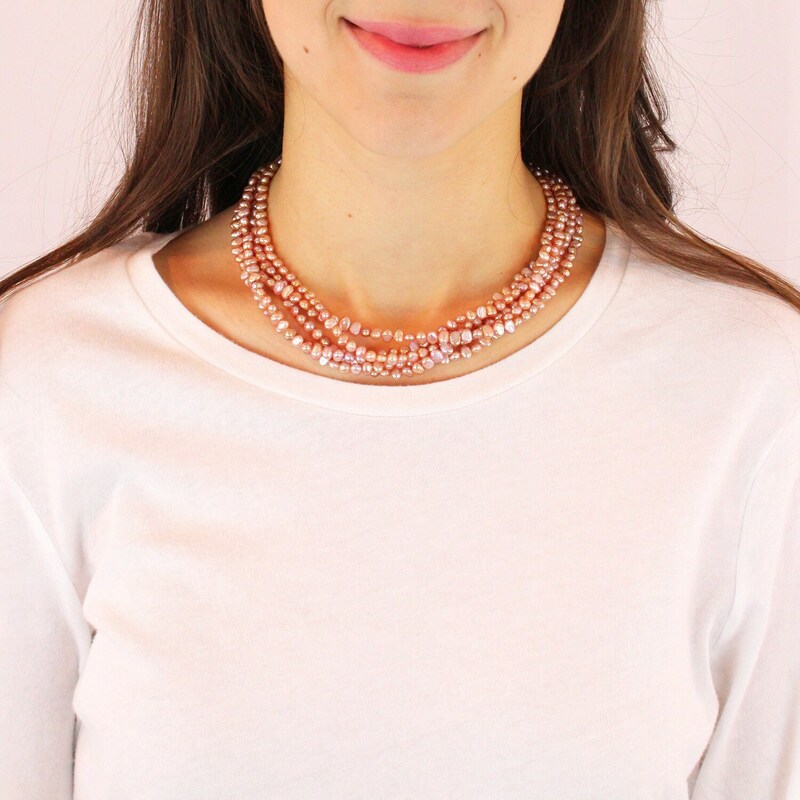 This vintage necklace with its five strands of soft blush pink cultured freshwater pearls joined by a 10K gold-washed filigree silver box clasp makes a lovely gift. 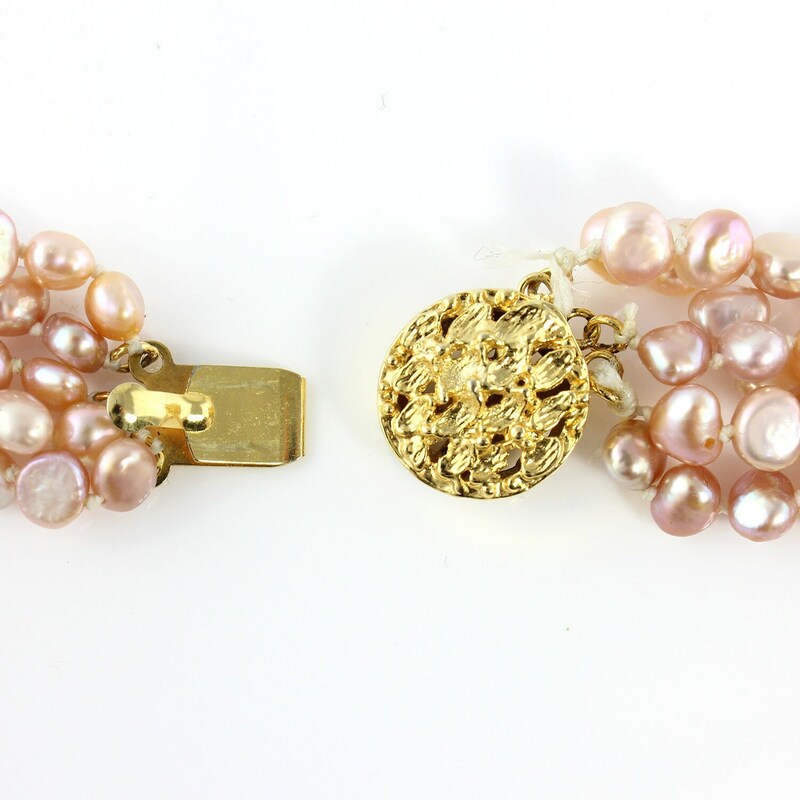 CONDITION: The piece is in excellent vintage condition.